I am so excited today to have Becky Wallace author of The Storyspinner on Book Flame today! If you guys haven't checked out The Storyspinner go do so now it was one of my favorite fantasy reads this year. I’ve always been a huge fan of fantasy! I remember reading the Black Cauldron series by Lloyd Alexander in fourth grade and knowing that the kind of story I wanted to tell. Besides that, I would say that the greatest single influence on my writing has come from the late Robert Jordan and his WHEEL OF TIME series. The first ten books in that series were all published by the time I started reading them, and I read all ten in three weeks. I love his world building and character development. Would you like to be friends with Johanna? What is something you can picture the two of you doing together? 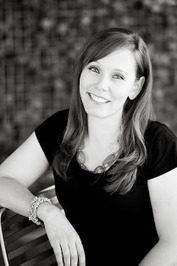 I love Johanna! And I’d definitely want to be her friend, though I might find her a little intimidating. She’s sort of a big personality and she’s very talented. I think that we’re both busy, busy people, and maybe a day hunting through an old library or bookstore would be a great way for the two of us to share something we both love! What other fictional world do you think would most appeal to Rafi? There were multiple points of views in The Storyspinner, who would you say was the hardest character for you to write? Jacare was by far the hardest character to write. He’s a very closed person, and struggles to keep all of his emotions locked tightly away. It was hard to make him endearing, and only give glimpses of his internal turmoil. He’s totally stoic on the outside and seething underneath! I’d love to sit at JK Rowling’s feet and say, “Teach me.” There are so many layers and brilliant nuances in her books! Every time I read Harry Potter I catch something I missed the previous 45 times I read them. Seriously. The stories and backstories are some of the best ever written.. I would love to learn to sing. I feel like it’s a talent that endures even when the rest of your body falls apart! Always, always, always to the YA New Releases section. I’ve gotta see what’s out and what I’ve missed! 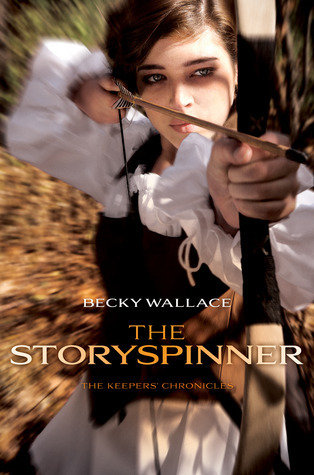 Becky Wallace is giving away (2) copies of The Storyspinner and (5) swag packs so a total of (7) winners. Two lucky individuals will win a copy of The Storyspinner and (5) people will win a swag pack.